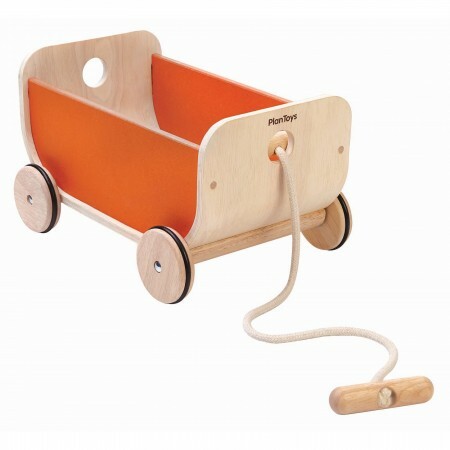 A classic wooden pull along wagon. 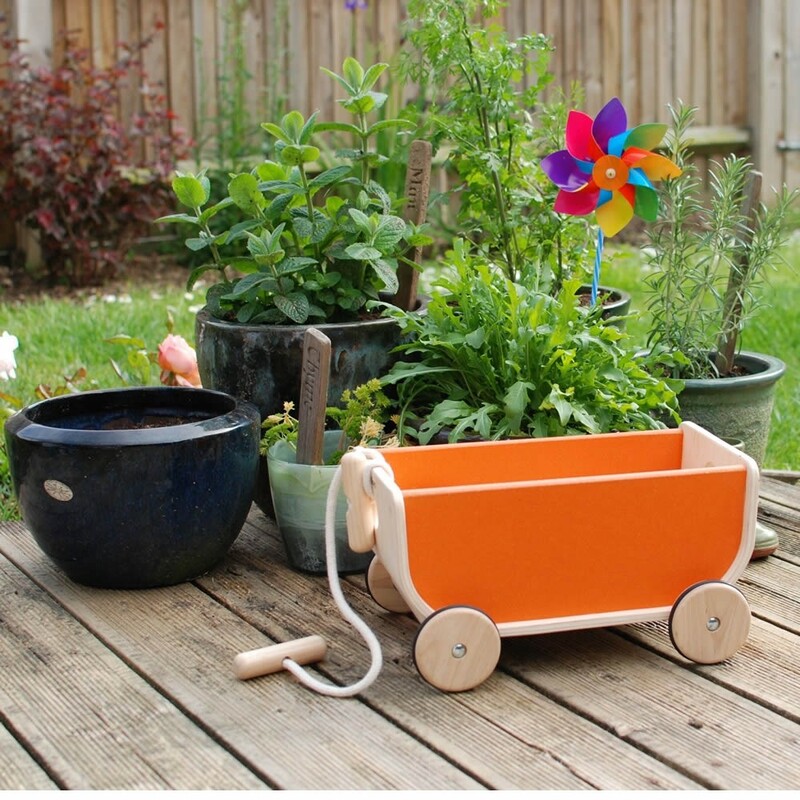 Children will love to put their favourite toys inside and pull them about the house and garden with this beautiful toy wooden cart. Sturdy wheels with rubber grips ensure a steady ride. The simple way the rope attaches through a hole at the front allows you to add more wagons or wheeled toys to make a train. 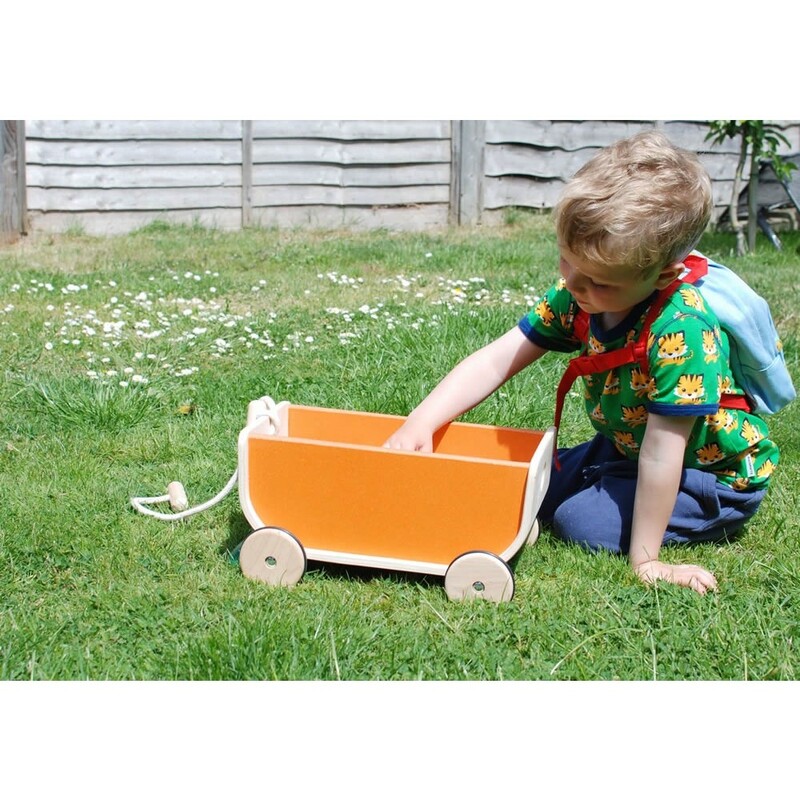 Beautifully crafted eco wooden toys from Plan Toys. 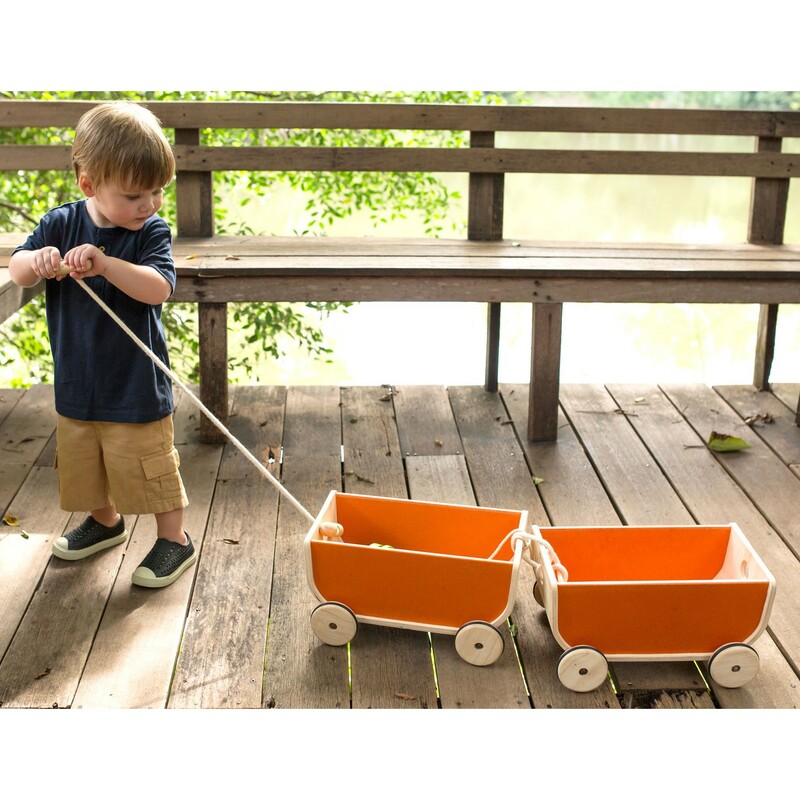 For over 30 years, Plan Toys have been making iconic educational toys that bring children closer to nature and inspire creative imaginations and learning through play. 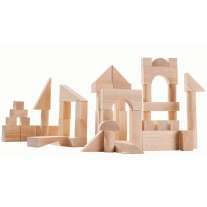 Little hands love getting to grips with Plan Toys which are just about as eco, sustainable and high quality as toys can be. 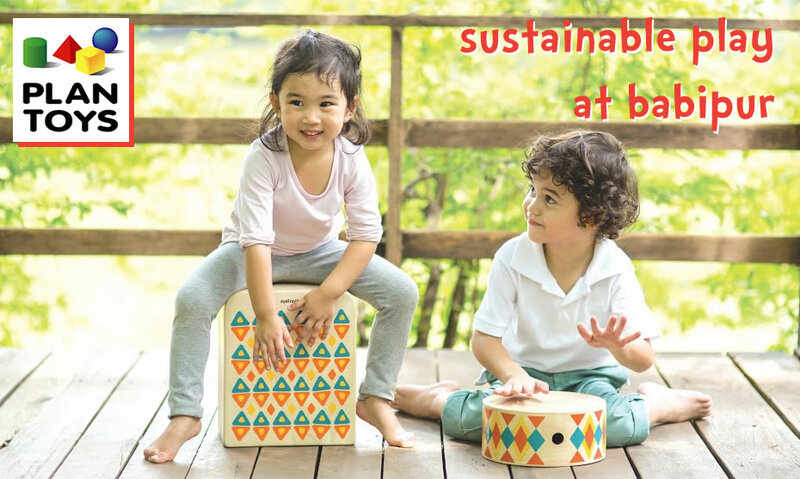 Everything is ethically made in Thailand from rubber trees that no longer produce latex, non-formaldehyde glue (which Plan Toys make themselves), organic colour pigments; and water-colour dyes – and the whole process is carbon-neutral too. As well as making FSC solid wood toys, many products are made from Planwood – an ingenious eco material made by compressing sawdust produced in the Plan Toys factory so that nothing goes to waste. All toys come packaged in recycled, non-toxic packaging which can go straight into your recycling bin.